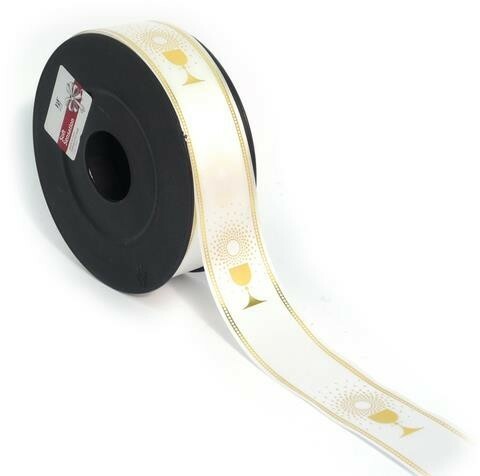 A roll of white religious ribbon measuring approximately 35mm x 50m. A white florist ribbon with a metallic gold chalis print and metallic gold boarder print. Ideal for flowers; making bows; wrapping presents and lots more.